When Brenda Kathy-Ann Mahon, a 37-year-old general worker of 3rd Avenue, Park Road, Bush Hall, St. Michael, Barbados, appeared in the District “A” Magistrates’ Court, she denied assaulting John King of St. Stephen’s Hill, Black Rock, St. Michael, Barbados, occasioning him actual bodily harm last Friday. 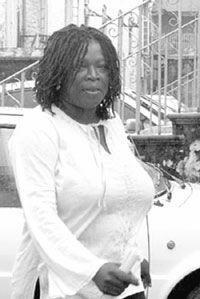 Magistrate Pamela Beckles released her on a $2,500 surety and adjourned the matter until March 21. As part of the bail, the magistrate prohibited her from going onto the premises of Lawrence T. Gay Memorial Primary and warned her to have nothing to do with the complainant.